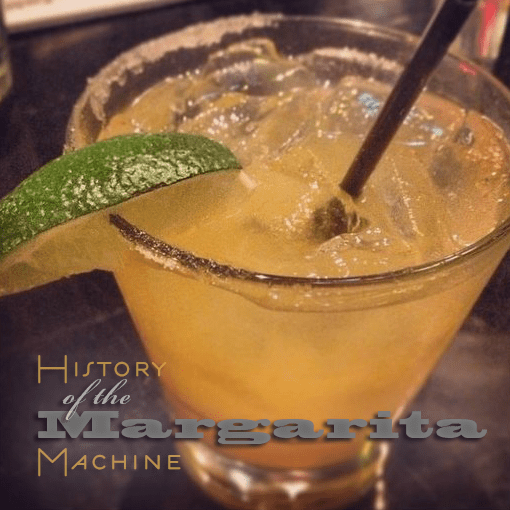 Unlike the history of the soft serve machine, the history of the frozen margarita machine is not in doubt. It was first invented as a show of the American entrepreneurial spirit on May 11, 1971, and can now be seen in nearly every Tex-Mex restaurant across the land. Mariano Martinez was faced with increasing demand for frozen margaritas in his restaurant, but the bartenders were getting a bit frazzled. They weren’t able to consistently produce the frozen treat, which used to be made without the benefit of a soft serve machine. Martinez was inspired by the Slurpee machines that were in the local convenience stores, but was prevented from buying one as the manufacturers were leery of his intentions. To further thwart Martinez, they also mentioned that alcohol does not freeze at the same temperature as water. But he was unfazed by their efforts to stop him and got himself a soft serve ice cream machine that he could modify. He was successful on May 11, 1971, changing his family recipe by adding more sugar to create modern frozen margaritas. The machine he created was simple, but it did the task of pouring perfect frozen margaritas. “Improved consistency, overall better product and ease of use due to the frozen margarita machine, made the drink so popular that it brought bars in Tex-Mex restaurants front and center,” said Martinez for the Smithsonian Institution, where the first ever frozen margarita machine is housed. The popularity of these frozen drinks grew to the point where people were coming from miles around to Mariano’s bar, just to experience the frozen margarita. Through his ingenuity, Martinez not only popularized margaritas, but he put tequila and Tex-Mex restaurants on center stage. Mariano Martinez retired the original frozen margarita machine in 2005, donating it to the Smithsonian National Museum of American History. He has been credited with revolutionizing and popularizing Tex-Mex cuisine. While Mr. Martinez might have retired the first frozen margarita machine, he is definitely not sitting on his laurels. Instead, he is creating new drinks and dishes for his patrons, making sure that he stays on the cutting edge of Tex-Mex food. If you’d like a frozen margarita machine for your restaurant, you don’t have to get one of our soft serve ice cream machines and modify it. Instead, Spaceman USA sells machines that are specially made to produce gallons and gallons of frozen libations. The frozen margarita machines in every single Tex Mex restaurant are the result of one man, Mariano Martinez. So, when you’re drinking your next frozen margarita, think of him and give him a toast to his ingenuity and American can-do attitude. Thanks for the cool read about the frozen margarita machine. It’s kind of cool to know that this kind of machine has been around since 1971. I wouldn’t mind knowing if some of the earlier creations tasted similar to what is consumed today.